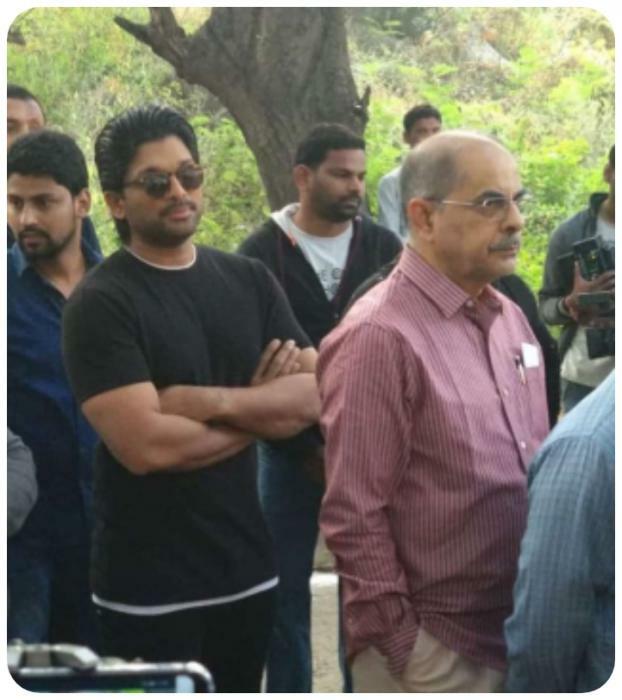 Stylish star Allu Arjun, Jr NTR, Chiranjeevi, actor Nithiin were among the celebrities who stood in a queue to cast their votes. Telangana assembly elections have begun and people have stepped out to cast their votes. Over 2.8 crore people are expected to cast their vote in Telangana today, i.e. Friday. Meanwhile, celebrities not only urged citizens to come out and to exercise their democratic right but they have also stepped out to vote. Actor Akkineni Nagarjuna and his actor wife Amala Akkineni were spotted standing in a queue to cast their votes today morning. They were clicked at booth no. 151 in Jubilee Hills. I got inked!! Did u yet?? Common get out and go vote!! These celebrities have done their job, have you? Would love to see BJP + TRS coalition in Telugugana!